Zyprexa medication is an atypical anti-psychotic also known by the generic name olanzapine. Zyprexa is manufactured by US pharma giant Eli Lilly. I know it is in vogue to be cynical and hostile about the big drug companies, but Eli Lilly has a remarkable history and reflects many of America’s great national qualities. It was founded in 1876 by Civil War veteran Colonel Eli Lilly. 1. To only manufacture true pharmaceutical products of the highest possible quality. 2. To only manufacture medicines that would be dispensed by proper doctors instead of slickly marketed by the patent medicine hustlers so common back in his day. 3. To only manufacture pharmaceuticals based on the latest and best science available. I don’t know how the Colonel would feel about Zyprexa. It is fantastic in terms of rapid and thorough results, but comes with many serious side effects. 4. Bipolar I depression when used in combination with Prozac (i.e. the medicine Symbyax). These FDA approvals for Zyprexa medication are a BIG DEAL! Lamictal is very good for depression but it not as effective as an anti-manic – something that Zyprexa medication EXCELS at! Zyprexa medication dosage for treating bipolar disorder varies. At first, the Mayo Clinic suggest 5 to 15 milligrams (mg) once a day. Although it is up to your doctor (ideally a psychiatrist), who may fine tune your dosage as needed, the maximum dose is usually not more than 20 milligrams (mg) per day. The side effects of Zyprexa are so serious that many patients have discontinued use and many have actually filed lawsuits. Why is Zyprexa potentially so dangerous? We have already noted that Zyprexa medication is very effective, but that many people cannot use Zyprexa and enjoy these benefits because of the danger from side effects. 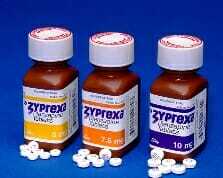 Zyprexa is notorious for causing VERY substantial weight gain and associated deadly diseases such as diabetes. This is not a black and white issue. 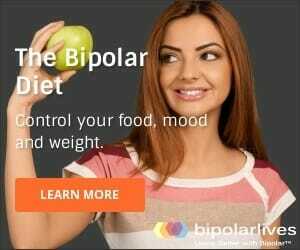 Obesity and diabetes are EXTREMELY prevalent and over-represented amongst the bipolar community anyway, and even medication weight gain can be controlled with diet and exercise. The downside to Zyprexa as a bipolar medication is side effects. It has just about the worse side effect profile of ANY of the bipolar medications.